The theory of gravitation uses a flat space-time metric, e.g., the pseudo-Euclidean geometry. The gravitational field is described by a tensor of order 2 (potentials) which satisfies covariant (relative to the metric) differential equations of order 2. The left hand side of the differential equations is the total energy-momentum tensor of matter and the gravitational field. The theory is a field theory in analogy to the equations of Maxwell for Electrodynamics and not a geometrical description of gravitation. 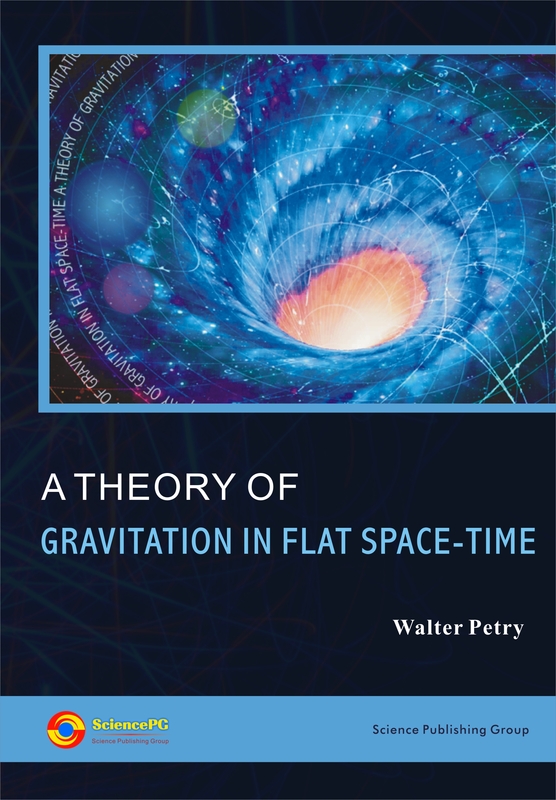 Applications: The results of the theory agree for weak gravitational field with those of general relativity to the measurable order but for strong gravitational fields are differences, e.g. in the beginning of the universe. The space is flat by the theory. There are non-singular cosmological models, i.e., there is no big bang but the universe may be very hot in the beginning. The universe contracts to a small positive value and then it expands for all times. A new interpretation of a non-expanding universe can also be given. A modified Hubble law is also received in agreement with the results of Arp who states that there are in the universe nearby quasars with quite different redshifts. In addition, post- Newtonian approximations in the matter dominated universe can give large density contrasts. This is important to explain the large scale-structures in the universe, e.g. galaxies, etc. We need no inflation because the space is flat and not curved.